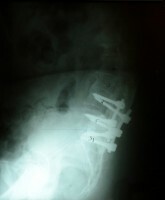 58 year old female status post Scoliosis posterior spine fusion and instrumentation removal. 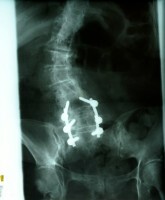 She had severe Kyphosis and inability to stand erect. She underwent posterior spine fusion and Staged Asymmetric Pedicle Subtraction Osteotomy. Excellent results.